When reminded that F1's first visit to the Marina Bay circuit in Singapore was but four years ago I always think that it sounds slightly wrong. Somehow it feels like F1 has been stopping off there for far longer, that Senna and Prost pounded round the tight streets just as Alonso and Hamilton now do. It all underlines how rapidly Singapore has got its feet under the F1 table, how quickly it's established itself as one of the sport's most popular and iconic rounds. In an age where F1's move incremental shift eastward hasn't universally been a success, Singapore can certainly be considered an unqualified triumph. The venue made an immediate and positive splash with the famously hard-to-please F1 fraternity right from its very arrival there in 2008. Singapore is a city just meant to hold an F1 race: affluent, vibrant, exciting. What's more, it had the distinction of being F1's first night race, and a more fitting venue for this could not have been chosen. Not only does Singapore boast a intense night life, but the cityscape nighttime backdrop, in addition to F1 cars that never fail to look beautiful under the lights, mean that Singapore offers many an ideal opportunity for a camera lens. What's more, the Marina Bay circuit is a proper downtown street track, the likes of which had seemed altogether abandoned by F1 for many a year as street circuits dwindled and those that persisted tended to be in parkland (such as Melbourne) or away from the city's epicentre (such as Valencia). And it's by no means understating things to say that the Singapore Grand Prix is a unique challenge among today's F1 circuits. The race is close to two hours in duration, run in sapping heat and humidity, and has a busy acrobatic layout with walls almost always nearby offering little room for lapses. It's quite possibly even more of a challenge to mind and body than is Monaco. Martin Whitmarsh - reason to be paranoid? McLaren heads into the Singapore weekend with a spring in its step, what with its three wins in the last three rounds and all on very different circuits. After a mini-slump the Woking squad appears to have well and truly relocated its mojo in recent weeks. Lewis Hamilton, on-track at least, has been in fine fettle all year and his acrobatic style will be well-suited to the equally acrobatic track. 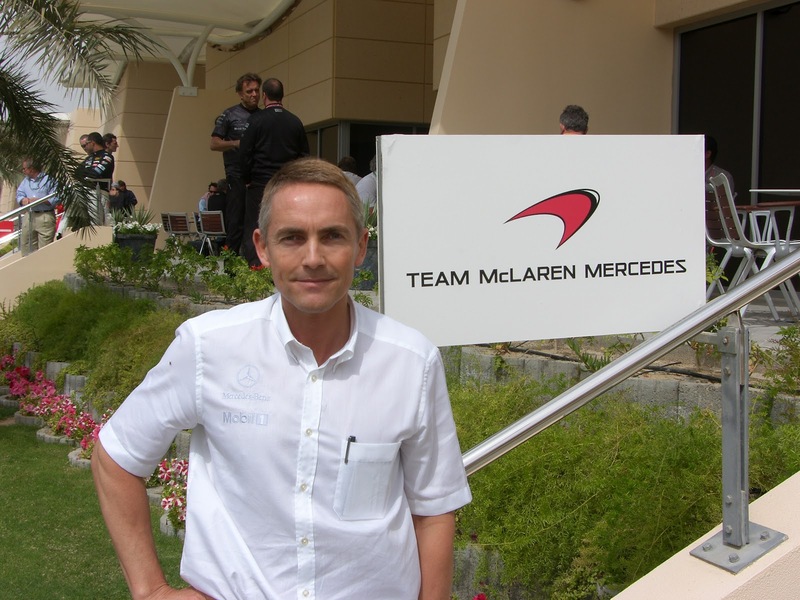 It was however interesting that when team principal Martin Whitmarsh was interviewed on TV last week he was at pains to play down his team's chances this weekend. Healthy paranoia (in an unpredictable year), or does he know something we don't? Certainly, the McLaren's relative weak point this year has been its performance through tight corners and historically the McLaren doesn't coexist well with bumps, and both are predominant in the Marina Bay track. But part of Whitmarsh's caution may be down to the identity of the lead Ferrari driver. Fernando Alonso is a Singapore specialist, winning on two of the four visits and never failing to finish outside the top four here (yes, that first win was controversial, but Alonso was bang on the pace all weekend). And the Ferrari has shown enough in the past couple of rounds to demonstrate that it may be close enough to the sharp end pace to give Alonso a chance. Yes, the Ferrari struggled at the Hungaroring, but that was around long corners and there are none of those at Singapore. Then there is Red Bull. Those two cars haven't quite been at their sharpest for a while now (indeed, ever since the engine mapping loophole that they exploited infamously was closed before the Hungary race). But in the team's defence Spa and Monza has rarely been its happy hunting ground, due to the Renault engine's relative lack of top end punch. But if the Bulls continue to be not quite there at Singapore a few more questions will be asked. As for dark horses (appropriate in a night race), perhaps Mercedes can have a bit more joy than usual this weekend. The cars were possibly the quickest of all at Monaco earlier in the year, another low grip street track where good change of direction is required and there are no longer corners for them to eat their tyres on. 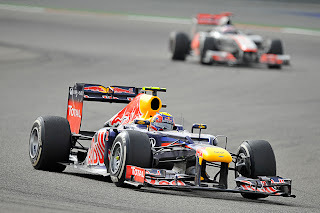 Plus the team is bringing a revised exhaust solution to Singapore which has turned a few heads. In addition, Williams has always seemed to go well at Singapore, Pastor Maldonado is a street circuit specialist and if he continues his redemption started at Monza then he may be on for a good result. The Lotus has also gone well at similar circuits this year, and will appreciate the soft tyre selection by Pirelli. 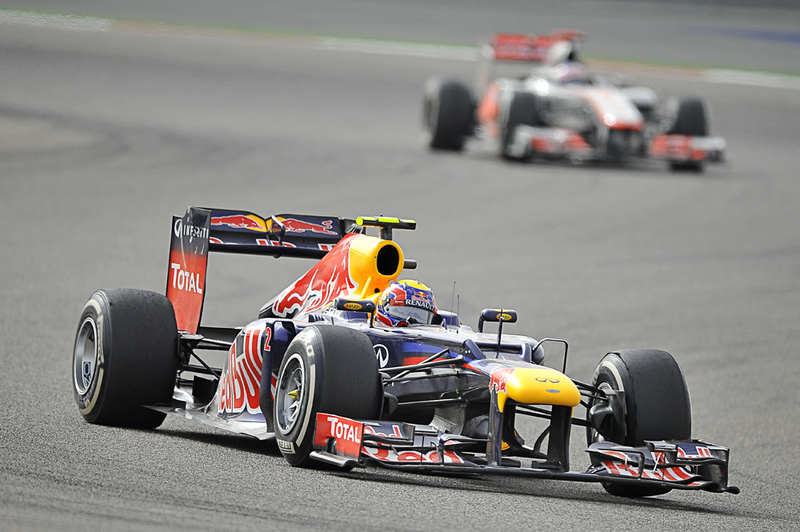 But on the flip side overtaking isn't easy at Singapore and it's on race day that car tends to be strongest. Make sure you're plugged in this weekend for F1's very own light fantastic.